In the daily hustle-and-bustle, it’s easy to forget relationship selling techniques that make for valuable long-term sales partnerships. But with numerous ways to build a partnership, it can be hard to know which path to take. Check out these relationship selling techniques to see how they can help you find the leads that matter and connect with them through personal engagement. To play on the old sales line, ABC, it’s important to ABR—Always Be Ready. Don’t initiate a conversation with a buyer until you’ve done your research. Use business intelligence and predictive analytics to anticipate needs and answer questions. Align your solutions to customer priorities to provide long-term value. Relationship selling is a partnership, an ongoing conversation, and an act of collaboration that helps customers meet their ever-changing needs. Demonstrate that you can work together to help customers succeed through different challenges—they'll never forget it. Get to know your future collaborators, their business, and what they’re trying to achieve. You may pride yourself on having a killer strategy and proven track record that’s engaged past customers, but it’s important to ask yourself whether you need to step back and adjust this for each new lead you’re reaching out to. Timing is everything. Knowing when to move forward—and when to hold back—is one of the most valuable skills you have. Good timing shows you're on top of things and using the right tools to cultivate new relationships and nurture ongoing ones—with more sales prospects embracing social media, you have the tools to make sure you make contact at the right time. In sales, our ears often go underutilized. Listening to customers—both in what they say and how they say it—helps you effectively respond, and shows that you care more about their long-term needs than your short-term commission. The art of listening is missing from most company playbooks. Make it more than a strategy, do it until it becomes a habit. You can’t fake taking a genuine interest in your customers. Everyone can tell when someone is covering up what they don’t know. Sincerity evolves out of the confidence that comes with preparation and empathy. It fosters a shared dialogue that leads to practical solutions and healthy relationships. One of the definitions of a dialogue is, "an exchange of ideas and opinions." This means taking in what the other person is saying while contributing your take on the subject at hand. Translation: sincerity means being interested, engaged, and curious. Using the right tools will give you rich information about key players help you build empathy through shared experiences. A promotion, a personal milestone, changes in the marketplace—it’s impossible to satisfy customers if you don’t know what’s going on in their lives and see the world through their eyes. A successful sales relationship depends on cultivating the entire committee of key players and knowing how they interact. Engaging with social media to get the full context is essential, and it helps establish your credibility. For instance, studies show that buyers tend to avoid sales professionals with incomplete profiles. A strong social presence demonstrates that you have an organisation’s collective needs top-of-mind and builds hard-won credibility. Friends, family, professional ties—no lasting relationships happen overnight. It takes time, dedication, and foresight to cultivate leads into sales relationships that can weather the ups and downs of business and come out all the stronger. Having tools that give insight into life’s challenges is important, but patience is the foundation. Trust is the accumulated effect of all the words on this list. Trust is about 90 percent of the deal when it comes to relational selling. One way to build this between you and your leads is to offer insights and recommendations that address the buyer’s pain points. The more you personalise the risks and opportunities that face your customers, the more you’re demonstrating that you understand them. Gaining someone’s trust doesn’t happen overnight, but once it’s established, anything is possible. Companies used to tell buyers what they had to offer or what they needed before they listened and understood what their customers wanted. You should also have the ability to tap into the best of what digital intelligence has to offer and customise solutions for buyers to help you build lasting sales relationships. 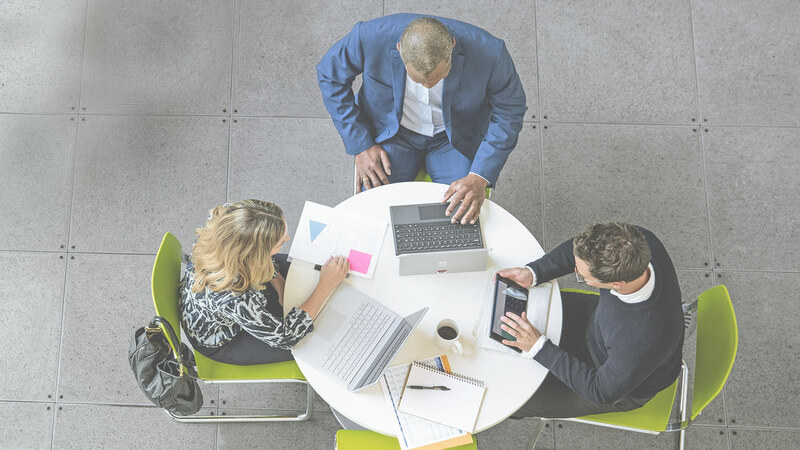 See how using LinkedIn Sales Navigator with Dynamics 365 for Sales can help you with all aspects of relationship selling—request the Microsoft Relationship Sales solution demo to learn more.